The discovery of a 'left-handed' magnetic field that pervades the universe could help explain a long standing mystery – the absence of cosmic antimatter. Planets, stars, gas and dust are almost entirely made up of 'normal' matter of the kind we are familiar with on Earth. But theory predicts that there should be a similar amount of antimatter, like normal matter, but with the opposite charge. For example, an antielectron (called a positron) has the same mass as its conventional counterpart, but a positive rather than negative charge. In 2001 Tanmay Vachaspati from Arizona State University published theoretical models to try to solve this puzzle, which predict that the entire universe is filled with helical (screw-like) magnetic fields. He and his team were inspired to search for evidence of these fields in data from the NASA Fermi Gamma ray Space Telescope (FGST). A group of scientists, led by Vachaspati, with collaborators at the University of Washington and Nagoya University, announce their result in Monthly Notices of the Royal Astronomical Society. Prof. Vachaspati commented: "Both the planet we live on and the star we orbit are made up of 'normal' matter. Although it features in many science fiction stories, antimatter seems to be incredibly rare in nature. With this new result, we have one of the first hints that we might be able to solve this mystery." 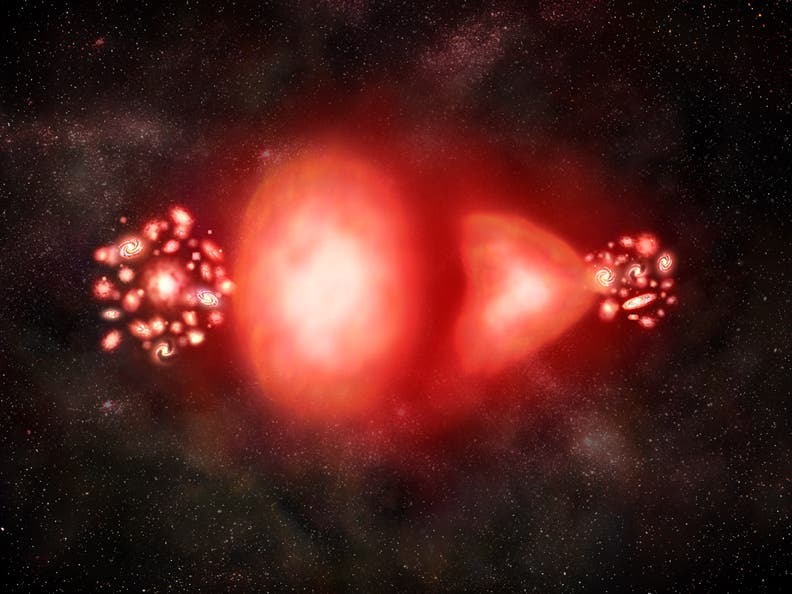 Massive "Zombie" Galaxies –"Harbor Half of All Stars the Universe Ever Produced"